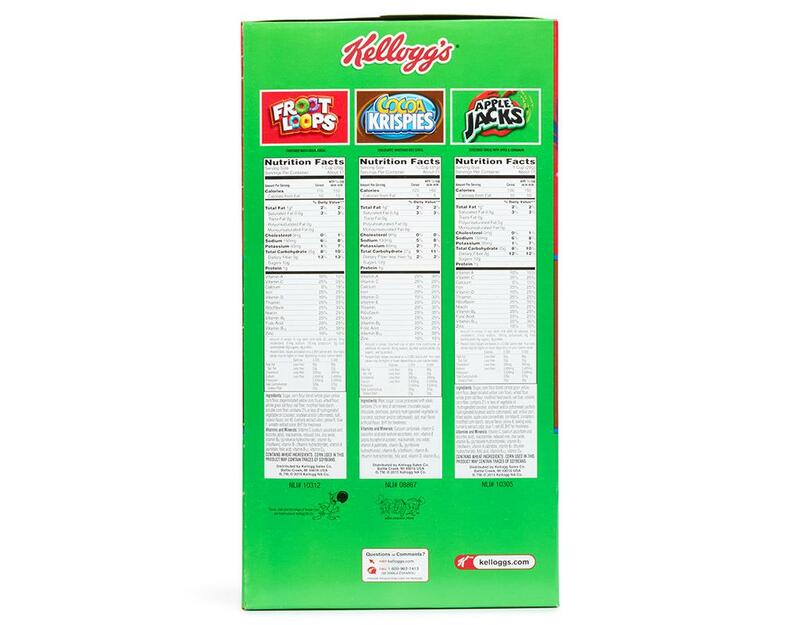 A great assortment of Kellogg's Favorites in three classics. Start your morning with a new one every day and never be bored with breakfast ever again! 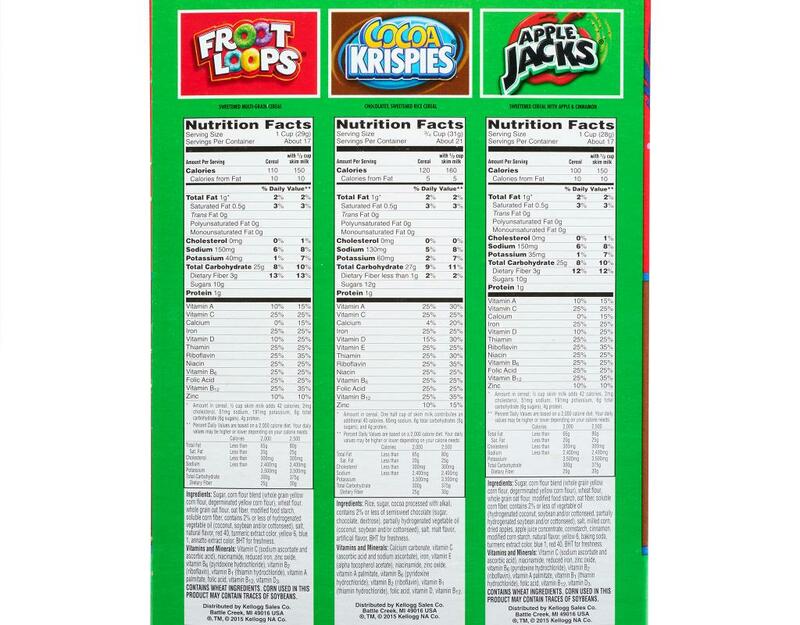 Froot Loops - Fortified with 11 essential vitamins and minerals and is low in fat. 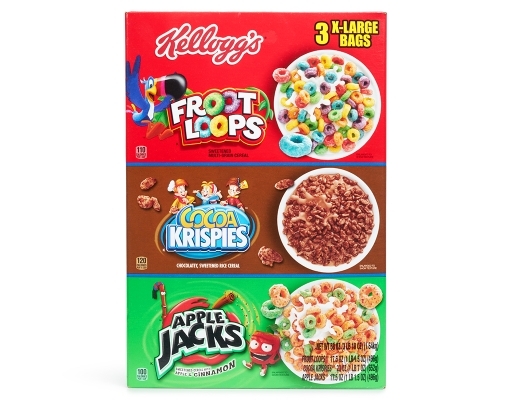 These colorful loops give kids a sweet and fruity start to the day. 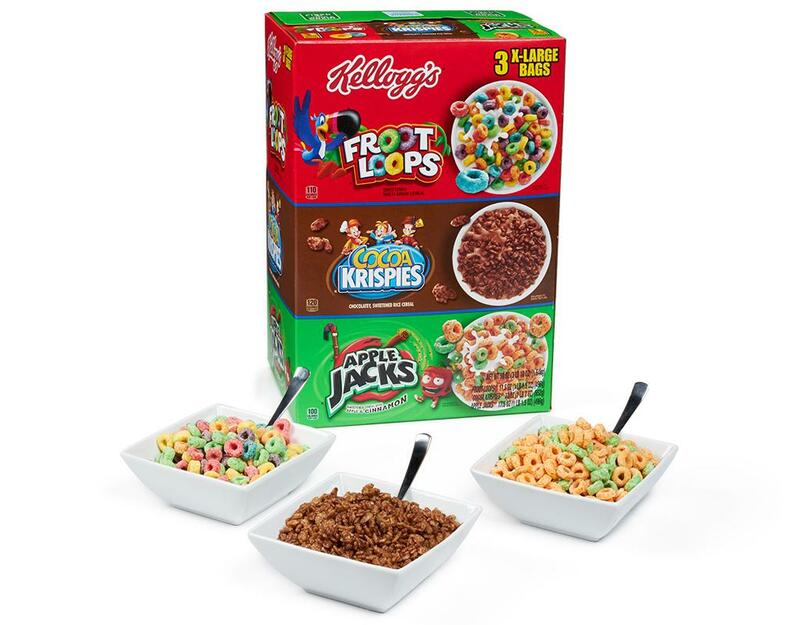 Cocoa Krispies - Pour milk over this chocolatey, sweetened rice cereal for a magical surprise your kids will love. 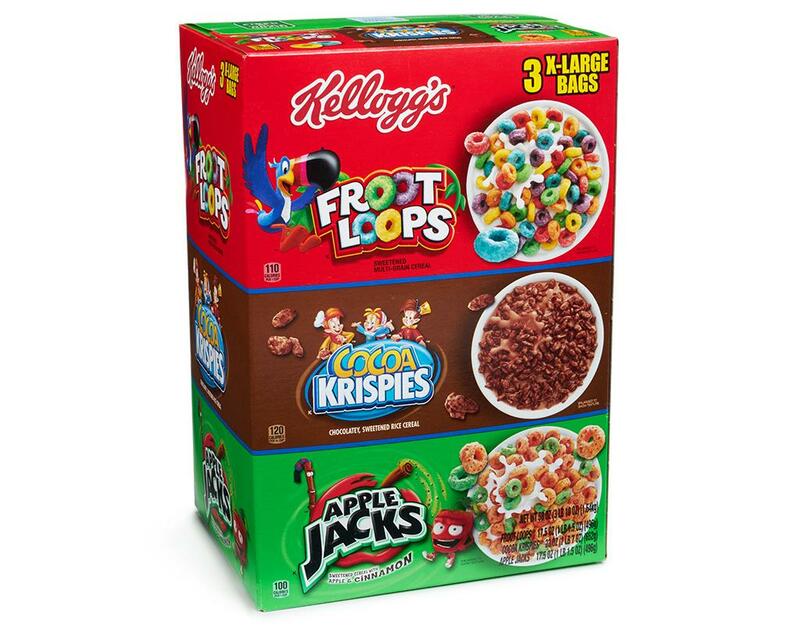 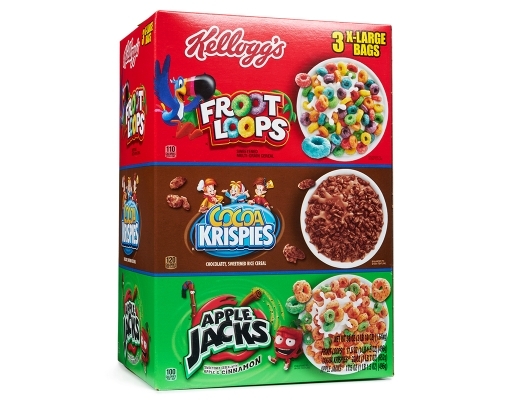 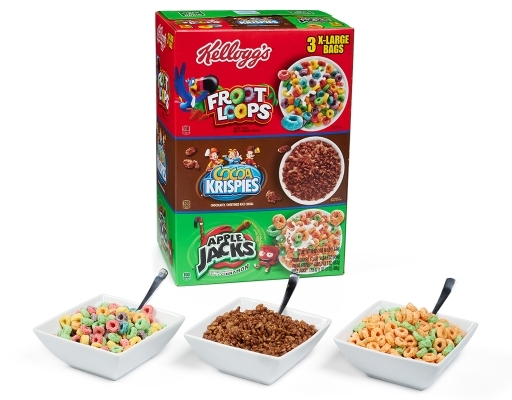 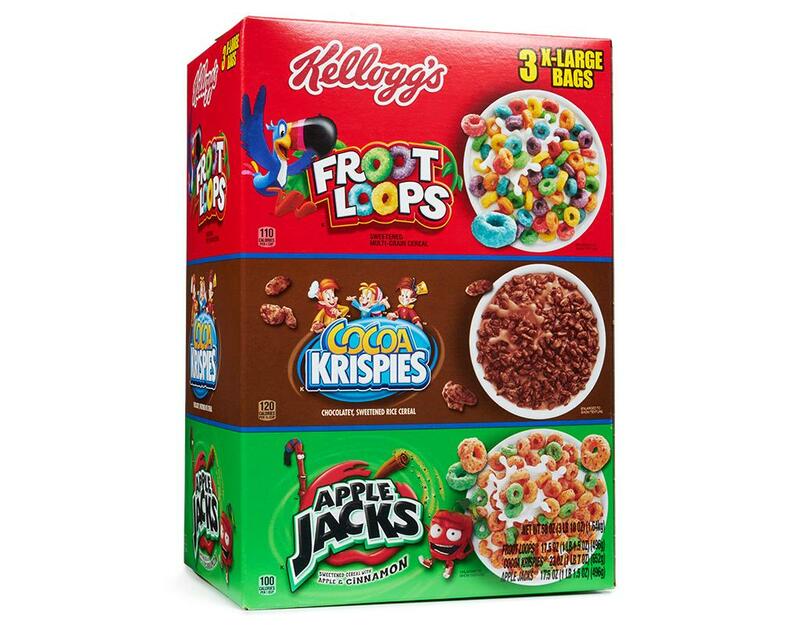 Apple Jacks - Fortified with essential vitamins and minerals, is low fat, and tastes delicious. 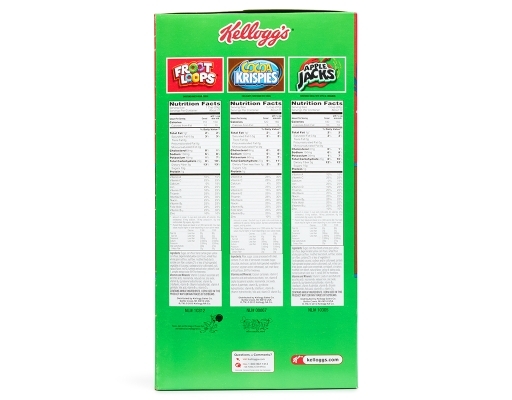 This crunchy wheat, corn and oat cereal sweetened with sugar, cinnamon and apple juice provides kids with a vitamin-fortified breakfast.